Our line of luxuriously sudsing dog shampoo's are suitable for every class of pooch, from the beloved family dog to the champion show dog. You are sure to be satisfied with these world class results! We've taken our ever popular original dog shampoo formula and made it even better by adding a special blend of gentle coat conditioners and aromatic fragrances for an all-in-one bathing experience. Each of our quality dog shampoo's are made with USP purified water and are paraben free, DEA free, biodegradable, pH balanced and contain no harmful dyes. 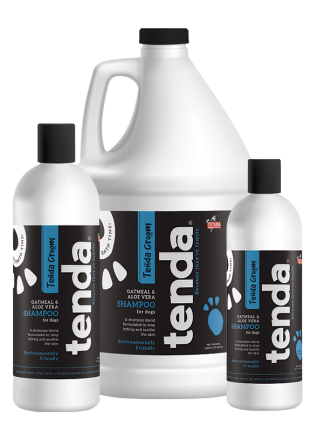 A quick, safe, and odorless ear wash treatment used to remove buildup and wax. 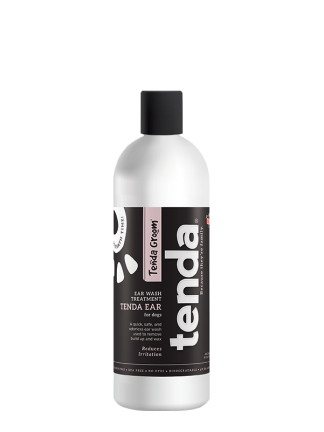 Mild Coco-Glucoside surfactants help to breakdown the wax keeping the inner ear clean and fresh. Glycerin is added to further moisturize the surface helping to reduce the overall irritation.